Marvel’s biggest event of the year is here along with perhaps the most extensive set of variant covers the publisher has ever produced. Avengers versus X-Men promises to be huge in every way, and each of the series’ twelve issues will be wrapped in at least five different covers. Shipping from April to October, these books will feature artwork from some of the industry’s top names, and if nothing else will result in the most massive entry in our Standard Deviations series to date. As “AvX” rolls on, we’ll be updating this post with all of the associated images and commentary you’d find in each installment. Read on to see where it all begins, and be sure to check back regularly as each issue ships! 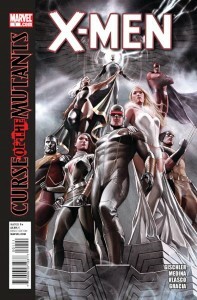 UPDATED: April 13th, 2012 with Olivier Coipel’s C2E2 AvX #1 variant. UPDATED: April 19th, 2012 with AvX #2. UPDATED: May 2nd, 2012 with AvX #3. UPDATED: May 16th, 2012 with AvX #4. UPDATED: June 6th, 2012 with AvX #5. UPDATED: June 20th, 2012 with AvX #6. 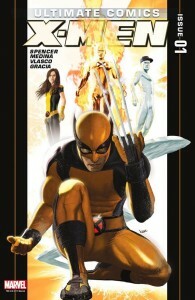 UPDATED: July 7th, 2012 with AvX #7. 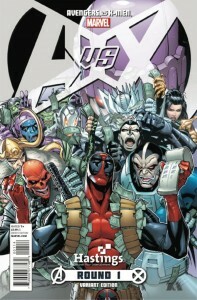 UPDATED: July 19th, 2012 with AvX #8. 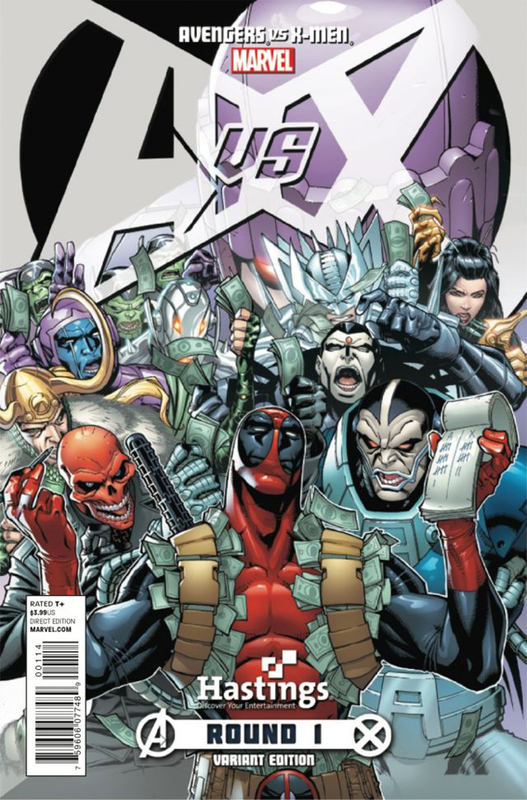 UPDATED: August 1st, 2012 with AvX #9. 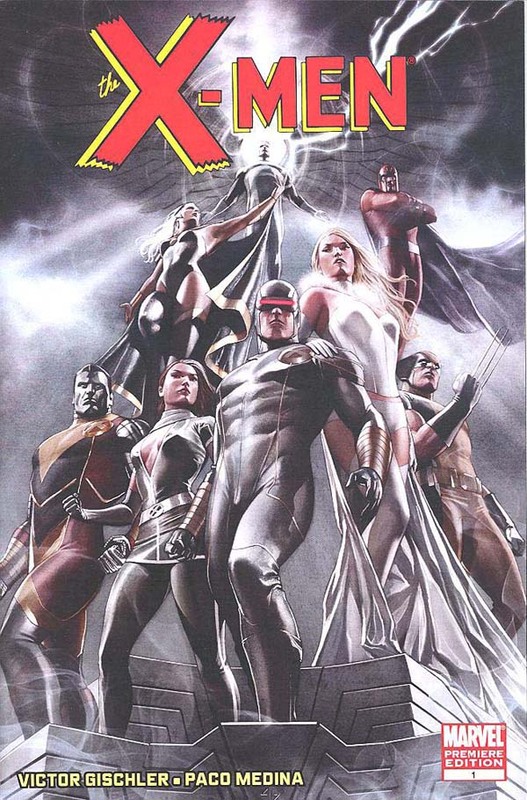 UPDATED: August 15th, 2012 with AvX #10. UPDATED: September 14th, 2012 with AvX #11. UPDATED: October 3rd, 2012 with AvX #12. Continuing the onslaught of new books for the month of September, this week sees the return of Ultimate Comics X-Men to Marvel’s relaunching Ultimate line. In the spirit of all of these new books (both from DC Comics’ “New 52″ and beyond), we’ve been trying to showcase as many as we can in a what is a truly remarkable time for comics. 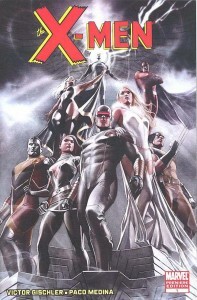 Ultimate Comics X-Men #1 is a book I would have passed on otherwise, and I’m a serious X-Men fan. Writer Nick Spencer and artist Paco Medina introduce a dramatically new status quo for the mutants of this world here and as first issues go, this one puts a lot on the table. Spoilers regarding everything you thought you knew about the X-Men will follow. X-Men #6 (Volume 3) arrived in late December concluding the Curse of the Mutants (X-Men versus Vampires) storyline, and this is a good point to discuss the new series by Victor Gischler and Paco Medina. I fell far behind in reading this series as it published and I had to catch up on nearly every issue today. Apparently, I didn’t even make it all the way through issue #2 when it first shipped! I’ve been a huge X-Men fan most of my life and have been reading for decades. Falling behind like that says a lot about this book and my feelings regarding it. Of all the big announcements coming out of this year’s San Diego Comic Con, it was a teaser image for the coming line of X-Men titles that grabbed most of my attention. This shouldn’t come as much of a surprise since I’m a big fan, but the image got me to thinking about the long history of ultra-wide X-Men images I seem to go crazy for. What is it about these things that I love so much? No comics shipped this Wednesday due to the 4th of July holiday, so new books will be in stores tomorrow, July 8th. Tomorrow will be particularly special as Marvel has declared it “X-Men Day” since we’ll be seeing the launch of a new X-Men series with a number one issue. This is the first “X-Men #1” in 20 years, so it’s fairly momentous, but I find it more confusing than anything. Find us on Facebook, follow us on Twitter, or subscribe to our RSS feed. Want to know more about MyLatestDistraction? Be sure to read our About page and get more information on our Authors. You can also find us on Facebook, follow us on Twitter, or subscribe to our RSS feed. Feel free to contact us at info@mylatestdistraction.com. adapted for MLD by James Cory Garrett.